A BUBBLING CAULDRON: Monahan vs. Singh - Show Me The Money! Monahan vs. Singh - Show Me The Money! As we make the far turn and head for home in this campaign cycle we're approaching that time when campaign hit pieces may land in our mailboxes - negative mailers designed to punch the voters squarely between the eyes with some allegation, half-truth or pure fabrication about a candidate, who then has virtually no time left before the election to respond. Some might say that Bill Sneen raising the flag about a suspicious campaign contribution that showed up on Gary Monahan's Form 460 fits into that definition, but I don't think so. Sneen was doing his homework - just as he has done ever since filing his papers to run for city council. He saw a curious entry in Monahan's campaign disclosure form and decided to investigate it. From the time this story first broke in the Daily Pilot, HERE, there has been plenty of time for Monahan to sort it out and provide us with the truth of the matter - plenty of time. This story has also been covered by the Orange County Register, HERE. WHENCE "CHINO HILLS COUNTRY CLUB"? When the name of a contributor - Chino Hills Country Club, with an address on Newport Blvd. in Costa Mesa - popped out at Sneen it piqued his interest so he looked for the location. It wasn't a "country club" at all - it was Angel's Auto Spa. He simply walked up to the owner, Surat Singh, and asked him about the "country club" and Singh told him about it. 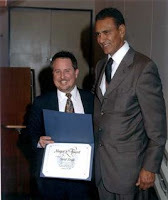 You may recall that Singh is a successful local businessman who has a history of philanthropy in our city, as demonstrated by being bestowed the "Mayor's Award" in January, 2004 by then-mayor Gary Monahan. According to Sneen's account - subsequently backed-up by Daily Pilot reporter Alan Blank's own investigation and conversation with Singh - Surat Singh told him the $7,000.00 in question was NOT a campaign contribution, but rather was the payment of a consulting fee to Monahan for the work he and fellow-former mayor Peter Buffa did on his behalf in the acquisition of land in Chino Hills where he planned to build the still-mythical country club. According to the news reports, Singh stated that he was a businessman and wouldn't just hand someone a $7,000.00 non-deductible campaign contribution. Apparently Monahan has denied that the $7,000.00 amount paid to him by Singh was, in fact, a consulting fee for services rendered. He is quoted as stating unequivocally to Blank that it was a campaign contribution. Now, I'm not necessarily calling anyone a liar here, but something is very fishy. And, just like a fish that lays around too long, it's only going to stink more the longer the question is unresolved. DOES THE CAMPAIGN TREASURER KNOW? I thought that, since there is confusion, perhaps Monahan's campaign Treasurer - a fellow identified on the Form 460 as "Brian Pinkham" - might have an answer, so I called him at 9:00 tonight at the number listed on the form. He seems like a very nice fellow and was very helpful. He told me he's not very familiar with the controversy, but did verify that every contribution check received must be made out to "Friends of Gary Monahan City Council" and is deposited directly into a separate, special checking account which is subject to audit. He confirmed that no cash contributions are accepted. LET'S SEE THE CHECK - CASE CLOSED! This really should be a simple issue to put to rest. The payment was made August 29, 2008 - plenty of time for a check to have cleared the bank. Even if Surat Singh doesn't normally have canceled checks returned to him, almost every bank these days will produce the image of that check, front and back, upon request. If the check was made out to "Friends of Gary Monahan City Council" - the name of his campaign - the problem is resolved. If the check is made out any other way, then the issue is still foggy. If this was simply an innocent mistake by one of the parties, then we need to know that. If Surat Singh, acting as Chino Hills Country Club, inadvertently issued a corporate check to Monahan for consulting services, but made it out to his campaign, we need to know that. It does stretch credulity that he would make that kind of a mistake, considering his obvious wealth and business savvy. So far, based on the reports available, both parties are sticking to their stories. Perhaps the most important character trait we should be seeking in elected officials is HONESTY. If Monahan is not being truthful about this situation, how can we trust him with the responsibility of elective office? If this was simply a case of sloppiness with his campaign finances, maybe that explains why he recently had to lay off 3 people at his bar - something he mentioned in a recent forum. Can we trust him to do the right thing as part of the elected body that must consider and approve a budget of nearly $145 million? Heck, can we trust him, period? "innocent mistake" ???? Come on Geoff! Monahan found a way to make his war-chest look bigger than it was and avoid paying income tax at the same time. Singh should be ashamed for playing along. It looks like Monahan has weaseled out of this one but the voters of Costa Mesa still have a choice: vote Foley -- Foley -- Foley!!! Please vote for Foley only once! I am not sure how you would vote for her three times! Use your next vote to elect Sneen! pick anyone but Righeimer or Monahan for number 3!